From 2014 to 2017, physician burnout increased five percentage points at Massachusetts General Hospital Physicians Organization in Boston, according to research published today. The research published today in Journal of the American Medical Association found exhaustion and cynicism were the primary drivers of increased burnout at Mass General’s physician organization. The research was based on survey data collected from more than 1,700 physicians. The JAMA article has several other key data points. 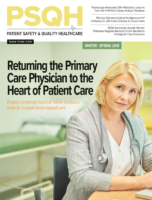 The lead author of the research, Mass General physician organization CMO Marcela del Carmen, MD, MPH, told HealthLeaders that the physician group has implemented several efforts to reduce burnout.